I am trying to keep the theme going with having the “colour of the week” posts listed as song titles. Silver and gold was a toughie because I had to combine the two. The reason why I chose to do silver and gold together is because I didn’t really have too many of each. 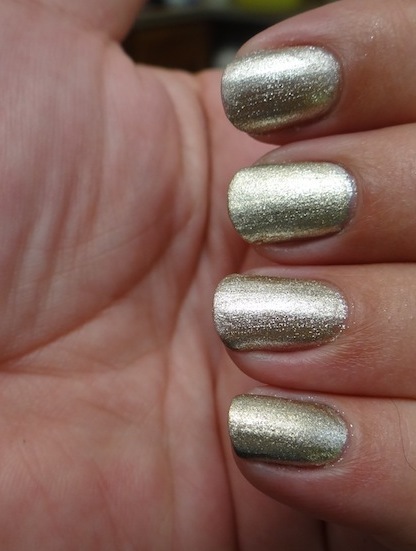 Silver and gold polish is really gorgeous. I would almost never just wear one of these on their own though. 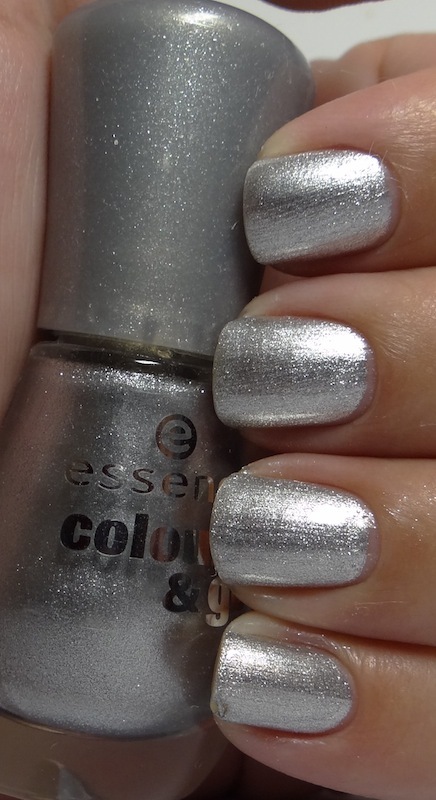 I usually use these colours for a base for some nail art even though the silvers are really enticing to use on their own. I am a silver girl for sure! I have obviously shown you quite a few of these before but I will show them again. So I will start with those shall I? These are together because I did a comparison between these two colours here and in my opinion they look almost exactly the same. This (these) are my favourite golds because it is more cool toned. I would love to get my hands on a rose gold shade but this is definitely a winner for me. I think it just looks so nice with any colour. This is two coats on both and went on really well. No complaints here. This is the perfect silver in my opinion. I used this before in my leopard print here. This is also a gorgeous silver to stamp with. It’s almost foil like in appearance. Goes on like a dream and is just as easy to remove. The only little bug about this polish is that when you do clean-up, you could have a little residue that goes all over. Almost glitter like. I tend to do the clean-up and then when the polish is dry I wash my hands with warm water to get rid of it. (This is actually what I do every time after clean-up but sometimes I do the art first). Love this silver! This is two coats with perfect application and coverage. This is a very light silver. It’s close to Armour Plate in colour but doesn’t seem quite as pigmented as Armour Plate. It is a little streaky on the first coat but with a second coat it evened out well. I am not sure if it will reach the same intense silver as Tip Top with another coat, I suspect it will. This is just as beautiful though and I suspect you wouldn’t notice the slight difference unless you have the two right next to each other. This is 2 coats with the lovely Essence application. This is a very yellow toned gold. I find this tone of gold difficult to match with other colours. As a polish though this is lovely to work with. Easy and flawless application just like Armour Plate. This is the gold equivalent to Armour Plate. Similar foily finish. 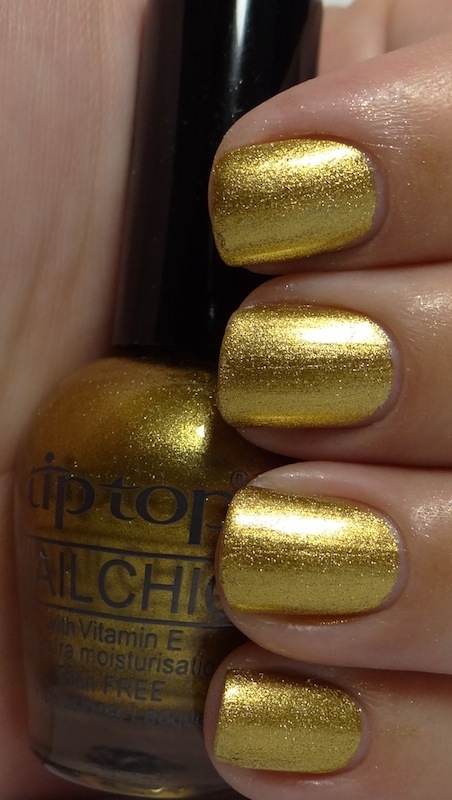 Even this might not be my favourite tone of gold the polish is still a dream to work with! Also, in some instances, this is the perfect gold. This is two flawless coats. If I had to choose only ONE gold and ONE silver polish I think I would choose Tip Top Armour Plate for the silver and Revlon Gold Rush or Essence Go Bold as the gold. These two are, in my opinion, practically identical so either of those will do. This doesn’t mean I don’t like the others. I definitely do which is why I have them. What do you think? 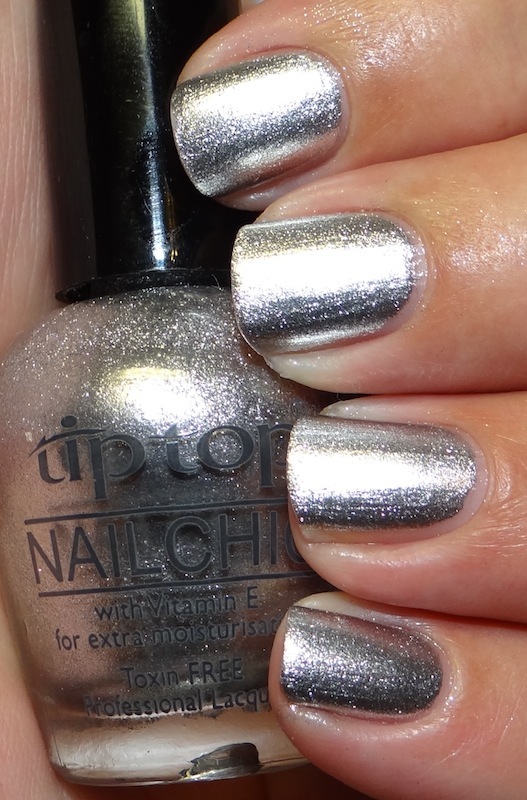 Would you or do you wear gold and silver polish? Which ones would you prefer? That Tip Top silver is my favorite of these. I’m not sure if you can get your hands on the brand, but Orly Rage is a great rose gold foil. The Tip Top Armour Plate silver is my favourite too. Thanks for the tip. I would love to get my hands on some Orly. Funny enough, I love the gold digger. It’s so racy and different. The Essence and Revlon gold is also lovely!! Yes Rose gold is the bomb! Love that shade! I’ve never been a silver fan, but I’ve always liked Armourplate because it looks as if you’ve dipped your nails in melted silver. Different. Gold digger is definitely different and I think if you wanted something different or to make a statement it would be perfect. To be honest I prefer silver to gold.